Re-Blogged from Dr. KAY’S BLOG now under reconstruction. You are now listening to a piece of music that likely brings your graduation to mind. This “grad pop” music was actually written by a 20th-century English composer – and a Knight of the realm to boot. His name was Sir Edward Elgar, and he is one of England’s most famous musical composers. 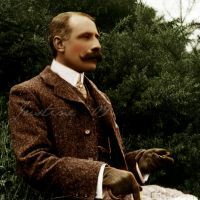 A Gemini, Elgar was born on June 2, 1857, in Broadheath, a village about three miles from the small city of Worcester in the English West Midlands. His father owned a music store in Worcester and tuned pianos. In Elgar’s natal (birth) astrology chart, his Sun, Mercury, and Mars are all in the sign of Gemini and placed in his 10th house of career and vocational calling. 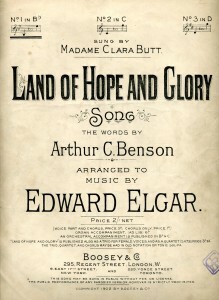 This tells us that Elgar’s career, reputation, and public image were VERY important to him. His Sun in the 10th tells us he had the great capacity to lead others and to excel as a professional. He put a lot of energy into his musical compositions and eventually became extremely well known. He was one of those fortunate people who had a brilliant career AND received the love and adulation of his countrymen. “Pomp and Circumstance” is defined as: the title of several military marches played at graduations. Elgar’s first Pomp and Circumstance in the key of D was written in 1901. It is by far the most popular of his five marshal compositions. It is a powerful piece of music that can give new life to the listener. If one is feeling depressed or down, the vibrations of this elegant piece can make you feel more confident — more in control of your life. I remember using this Elgar composition as a therapy back in 1976. Back then I was recovering from breast cancer and undergoing nine months of intensive chemotherapy treatments. I was so weak and frail at the time, but would put on the record, position myself in front of my bedroom mirror, and force myself to stand as straight and tall as I possibly could. I wanted to make my body at least look confident and assured again. 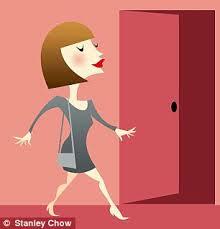 After forcing myself to stand straight and tall, I would walk out of my room and down the hall – and then back to my room again. The powerful music played throughout my short walk — and my walk was in synchrony with the music. I did this daily for about a fifteen minute period. Without a doubt, this music helped me FEEL better and more confident. I came to believe that I just might survive my breast cancer. I will be forever grateful to Elgar for writing such a stirring and magnificent piece of music. I continue to listen to his rousing march today. Amazingly, it still has the same effect and is good to listen to, regularly, as we ascend to higher levels of consciousness. I end my blog with a YouTube rendition of the powerful, rousing, British favorite – Land of Hope and Glory. I would suggest you stand straight and tall. Find your own unique body position that shows you are a confident and capable person. (It does not matter in the least that you are not really feeling confident at this moment. The music will help with that.) Put on the Elgar piece. March around your house – keeping in time with the Elgar’s rhythm. Most important have your body SHOW YOUR CONFIDENCE – YOUR CAN DO SPIRIT! Be blessed, dear readers – and know you CAN DO the next step/s in your life.